The Commandant of the United States Marine Corps, General James F. Amos, gives his thoughts in a wide ranging interview. As the process of rebalancing its forces to the Asia-Pacific begins to gain further traction, the U.S. Marine Corps (USMC) sees itself returning to a familiar region of the world. In this context, the Commandant of the USMC, General James F. Amos, spoke to Sergei DeSilva-Ranasinghe about the Corps’ transformation and modernization, the impact of successive deployments in Iraq and Afghanistan, the status of Marine Corps activities in Africa and South America, the strategic realignment to the Asia-Pacific, the likely future battlefield, and defense budget cuts. 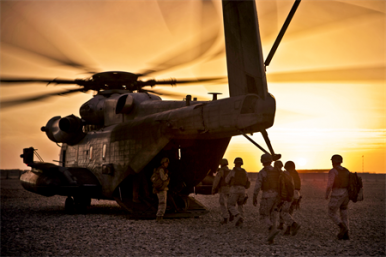 How has the USMC transformed and modernized since 9/11? General Amos: As America’s expeditionary crisis response force, the United States Marine Corps, has always responded to our Nation’s call to arms. No two fights are the same, so we’ve historically maintained a service culture of mental flexibility, adaptability and operational agility. For example, shortly after 9/11, the Marine Corps conducted the longest amphibious-launched raid in history by deploying Task Force 58 deep into Afghanistan to strike Al Qaeda and topple the Taliban. During Operation Iraqi Freedom, we assaulted from Kuwait to Baghdad as part of a coalition force and removed Saddam Hussein from power. We then transitioned to counterinsurgency operations both in Iraq and Afghanistan. While we were heavily invested in Iraq and Afghanistan, we also supported counterterrorism in the southern Philippines, provided disaster relief in the Indian Ocean basin after the Boxing Day tsunami in 2004, conducted humanitarian relief operations in Pakistan and Haiti, evacuated U.S. citizens from Lebanon, assisted our Japanese allies during the 2011 earthquake and nuclear crisis, took down the pirated MV Magellan Star, and rescued a downed U.S. Air Force pilot in Libya – just to name a few. So we’re in the process of restructuring our force with capabilities optimized for forward-presence, engagement, and rapid crisis response. We’ve reshaped our internal organization to increase flexibility and utility across the range of military operations, and have also enhanced our support to U.S. Special Operations and Cyber Commands. We’ve also increased our ability to conduct distributed operations, and operationalized our reserve component capability. As for modernization, this last decade has seen the combat debut of the MV-22 Osprey and the ​Mine-Resistant Ambush Protected (MRAP) vehicles, and the establishment of our first operational F-35B squadron. We’ve upgraded our C-130s and UH and AH-1 helicopters. We’re leaning into upgrading our CH-53s with the K variant. We’ve embarked our Marines on San Antonio class ​landing platform/docks (LPDs) and are developing the next variants of the America class ​Landing Helicopter Assault (LHAs) ships. We cancelled the Expeditionary Fighting Vehicle and are refining the requirements for the next amphibious combat vehicle. We’ve also made some great strides in employing what we call ‘expeditionary energy’ on the battlefield – which has reduced our logistical demands and saved lives by reducing convoy hours on ​improvised explosive device (IED) laced roads. We’ve also captured the lessons of the last decade at war and incorporated them into our training and education programs.